Here are two different cases concerning universal credit and work. Both prove the point extremely well that universal credit and the work conditionionality contract linked with this is completely unworkable. Politicians from all parties are not taking this issue seriously enough. Luckily we are. A housing association in Leeds are dealing with a tenant in Leeds who was unable to pay his rent after loosing his job with his employer. This is their story. The person in question was employed by a company working between 16 and 17 hours a week. On his contract it stated that they were not allowed to apply for extra jobs with other companies. But their jobcentre advisor told them that they must, and he was advised to apply for a job with a rival company. As you can imagine this didn’t go down too well, and the company that they worked for sacked them for gross misconduct. They had obviously broken their work contract agreement. The DWP awarded them for their diligence in applying for this second job by giving him a three year Sanction. Why? Because they got sacked. Why? Because he had been told to look for a second job which clearly broke his employment contract. Now what is interesting about this, is that approximately 40% of Jobcentre staff will be also on in work conditionality when they are switched over to universal credit. The DWP employee contract strictly prevents applying for an extra job, thus leaving them in exactly the same position as claimants. They will be stuck between the devil and the deep blue sea. Do they apply for a second job and get sacked? And then sanctioned? Just like claimants? There is no choice really. It’s a no win situation. A young person, who wants to remain nameless were employed by a small company. 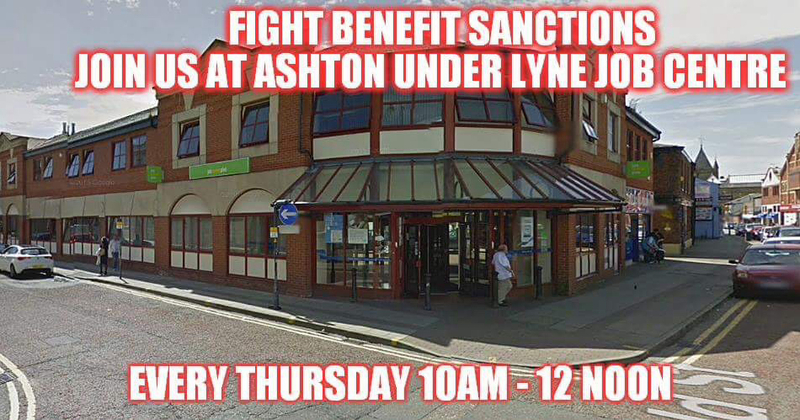 Thet were on universal credit as they only worked 30 hours a week and needed the top up money. Now, when our are claiming universal credit you have to have your phone on hand all the time. Failure to answer your phone to your advisor can result in a sanction. This young person was constantly called at work by their advisor. His other two employees who were also claiming universal credit were also constantly phoned. One day all three staff were called in to see their advisor on the same day. As a result he had to shut his business. An altercation occurred the next day when he informed his staff that this couldnt shut the shop again, it cost him too much money, and the constant telephone calls were distracting both his employees and customers. They argued that they had to keep their phones next to them and that they had to do whatever their advisor told them to do. As a result they were all dismissed and he now employs pensioners who are in proven receipt of pension credit. 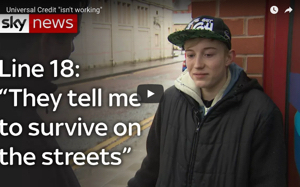 He says that he cannot afford to employ anyone on universal credit anymore. Now this asks the questions. Are there more employers like this one? And if so have they had to do the same thing as he has? Also sanctioning of working people as part of their in work conditionality is starting to become a big problem. They are doing their best to find work because they are working. Many are working under contracts which forbid them to gain other employment. Other employees are driven to distraction by jobcentre advisors and constant job searches that actually being in work is actually becoming more stressful than actually being unemployed, which is stressful enough already. Being in work on universal credit does not pay at all. Make no mistake, there is no unintended consequences with universal credit. It has been created as a mass disentitlement project and very careful planning was involved when creating it. It’s about time that every political party realises this. This neatly highlights the evilness of UC. I work 3 contracts in the same school.. 6.45am _9.15am cleaning, 12 nooo to 1.30pm senior midday supervisor, and 3.30_6pm cleaning again. I receive housing benefit and tax credits. We’re not allowed to even have our phones on if we’re around the kids because of safeguarding issues, and we aren’t allowed them cleaning either, so a UC claimant would be truly stuffed! I have a back problem and heavy cleaning is not good for me! I do it solely to keep DWP off my back and I’m loath to leave a job paying 8.20 hour cleaning and higher as senior MDS with a reliable employer. Universal Credit reminds me of those treadmills that they used to force people to walk on in Victorian prisons. It was pointless exertion, turning a giant wooden wheel round and round for hours each day. A punishment for those sentenced to hard labour. People literally died doing it. All credit to your blog Charlotte, for pointing out the reality of Universal Credit. No-one is going to be ‘better off’, but a great many people are going to be made very stressed and unhappy by this vindictive system. What will happen to the many sick and disabled people now reclassified as ‘fit to work’ when they are forced to exist under this sort of daily pressure, remains to be seen. Employers will have to pay everyone who works for them what 35 hours at minimum wage would get them if they were doing it. That’s the only way they’ll be able to rely on their staff not being continually harassed by the DWP. Once the supply of oldies on PC has dried up, that’s all they can do. I can see a lot of businesses closing down when they realise. Then deliberate Kafkaesque traps within Universal Credit would be considered unbelievable if they were the invention of a script writer or novelist. UC is forced state debt, stealing money from the poor, the original trickle up effect, it is no more than a Mafia style loan shark operation. These Universal Credit rules/conditionality don’t even come close to “making work pay” In fact the whole thing comes across like it was taken from some particularly disturbing novel about a dystopian future except this is happening now. It takes a scary kind of person to think these kinds of rules up for payment…..